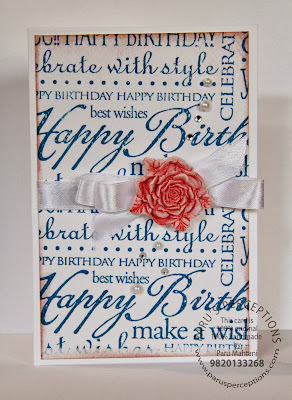 For my official Craft Adda blog post today, I have made a card using a gorgeous molded clay rose made by Khyati. To empahsise its beauty, I used a panel stamped with Hero Arts Wood Block stamp for the background, some smooth whie satin ribbon and some pearls and gemstones. I finished by using Tim Holtz Victorian Velvet distress ink around the edges of the panel. I think the colours are quite striking, don't you? 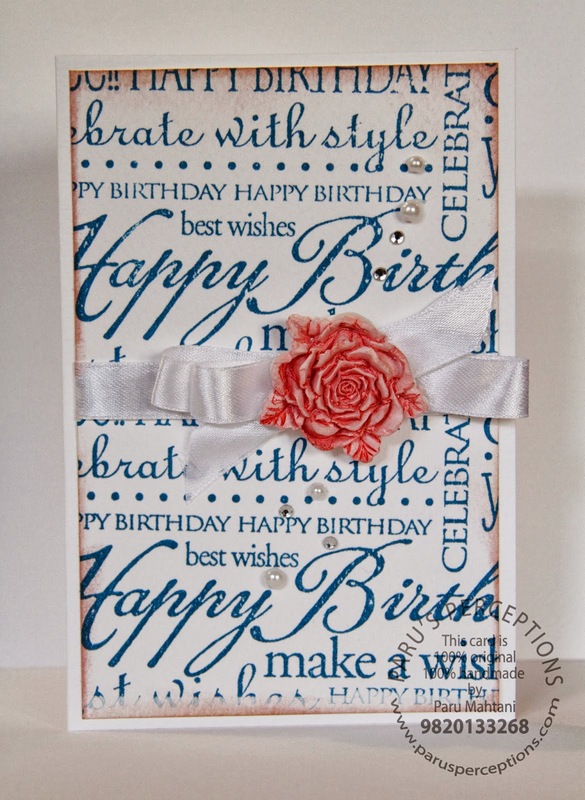 Gorgeous birthday card...love that rose! Hai blogger..! I have ordered with ID:1635. My courier returned back to mumbai .There is no proper response from you people. Neither any information nor reply. Please reply me & resend my courier ASAP. Meghana, I am a guest blogger on Craft Adda and not involved with orders. Never knew Oatmeal & Honey Soap could do so much good to my skin! Definitely will try the Oatmeal & Honey Soap for skin brightening & pimples.